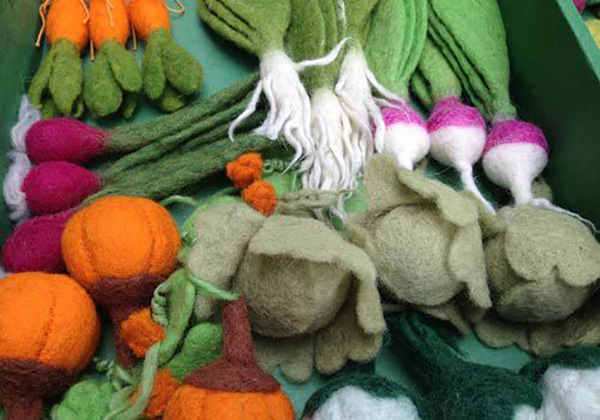 Grow A Garden of the felt veggie kind! Children will surely develop a green thumb as they try their trowel at being (imaginary) vegetable gardeners with this stunning felt vegetable garden kit toy! A green thumb, I’m not. I’m the first to admit I’m in awe of those with gardening talent and believe me when I say, I’m just as agog by those with felt gardening talents. 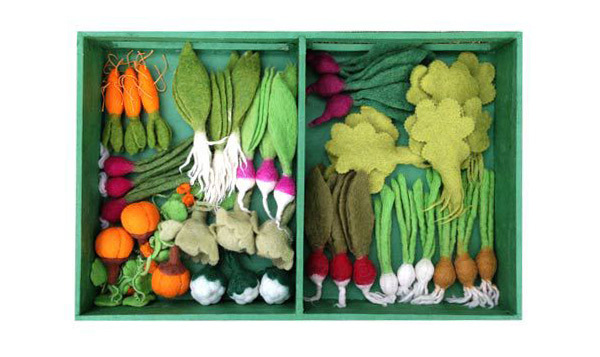 A toy perfect for budding horticulturists, the Grow A Garden Felt Veggie Kit is magnificently hand-crafted using 100 per cent wool felt by Nepalese women. The kit includes 36 felt veggies, from beetroot to pumpkins, designed to be planted into the felt garden bed box. It also doubles as storage box and when ready for picking, kids can go to town delivering them to the toy kitchen or market! Grow A Garden Felt Veggie Kit, made by Papoose, is priced $199.95 and available from Eco Toys.